Reinstall the sound app? What do you mean? Thanks for responding. 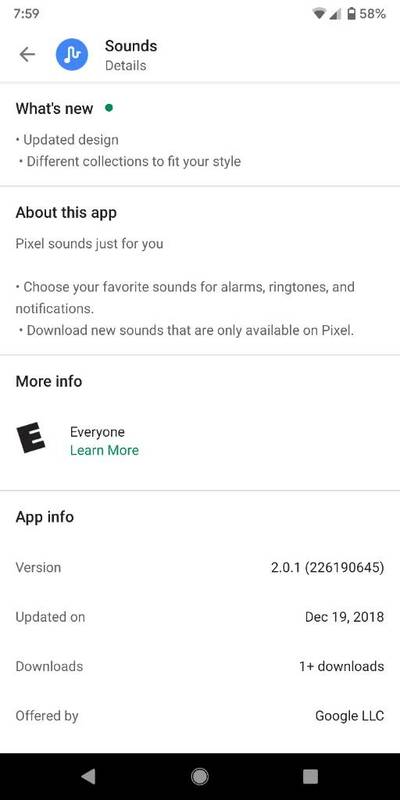 I lost the colorful sound menu for selecting notification sounds that was native to pixel 3. I can only assume that he's referring to the application shown in the attached screenshot. Exactly. You understand my problem. Is there a solution? Thanks. IIRC that app was installed in the background after a system update (December security patch). It's only available for Pixels and it's been in and out the Play Store a few times. Probably it's been deactivated again. Can you find it in your 'Library' tab in the Play Store? Can you open this link? Sorry, I answered your question via the email you sent me. Yes, I can open the link you sent me. I really appreciate your help. I think that email is just an automatic notification that one your posts were quoted, I can't get any reply from that. Is the Sounds app still active for you? Can you install it back from there? No. Even though the app is present, it doesn't show up while editing notifications. Any suggestions? When you go into settings>phone ringtones it doesn't show up? 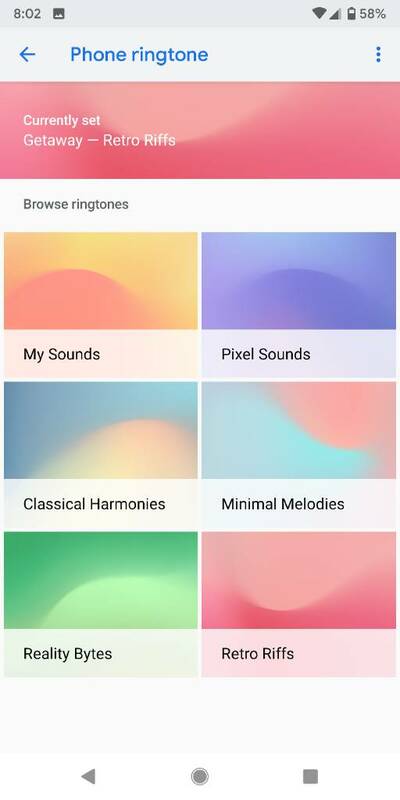 Once you go to phone ringtones or notifications sound your presented with 6 categories to pick sound , now your saying you cant go into each category to choose a sound ? That's what I'm saying. The colorfull Sounds Menu is nowhere to be found. Have you tried a reboot , see if they come back? I've done that. Short of that is a FACTORY RESET, which I want to avoid. 2. Same go to settings>apps find sound and uninstall it and install see if that helps. Thanks. I tried your suggestions . Neither worked. Sorry that's all I can come up with.. If they were there before, have you recently added any new apps since then? Any apps that control sound or something like that? I don't think so because it worked perfectly. Actually, it happened when I was changing some notifications last week. It behaved strangley during the attempt and resulted in the present screen. Here's the screen shot. Thanks again. 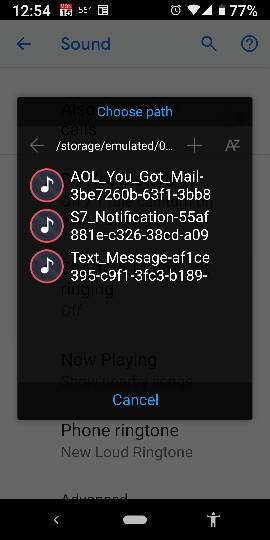 I copied the files in the screenshot to the NOTIFICATION SOUND folder but it still didn't give me the My Sound menu. What did I do wrong . Since this is the first time I have worked with this problem, can you take me through the steps to make this problem go away.